When International Parental Kidnapping Occurs, Hague Convention Rules Custody disputes are traumatic enough but image how horrible it is to have your spouse or the other parent of your child leave with your child to another country. This is not as rare as you might think. Kathryn M. Wayne-Spindler has handled just those types of cases. What matters most is if the parent went to a country that is a member of the Hague Convention. If so there are avenues to bring your child home. If it happens to you there are certain actions that must immediately take place. Kathryn knows what those are and can help you. Kathryn helped Marcie with her contested matter occurring in both the United States and Australia and Fady in his contested matter taking place in the United States and Canada, along with many other who have faced contested custody matters. On January 2016 Serbia became the 43rd country to join the Hague Protection of Children Convention of 19 October 1996 on Jurisdiction, Applicable Law, Recognition, Enforcement and Co-operation in Respect of Parental Responsibility and Measures for the Protection of Children. The rules regarding custody and child support will take effect the 1st of November. 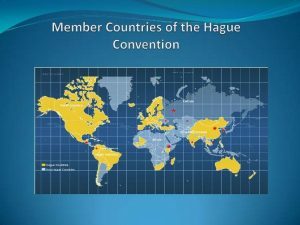 The predecessors, the Hague Conventions of 1899 and 1907, were treaties that governed warfare including agreements on the use of chemical weapons, treatment of prisoners and types of ammunition. Since 1955, the Hague Conference on Private International Law has negotiated agreements on more than three dozen matters of family law, child protection, adoption, marriage/divorce, wills and trusts, protection of tourists, and access to justice for expats. As of January 2016, 80 countries have joined the conference. Once joining, each country then voluntarily elects to submit to the rules outlined in the protocol for each topic. The United States has been a member since 1964 and adheres to rules about International Adoption, Child Abduction and Service of Judicial Documents. Most recently, the U.S. signed the 2007 Convention on the International Recovery of Child Support and Other Forms of Family Maintenance. What it boils down to is that the participating countries share access to child and spousal support documents, recognize each others laws and allow for enforcement of existing regulations. The Convention continues to evolve. With advances in technology, the path to unified cooperation on family law matters will increase the speed and efficiency of resolving international family legal matters. “Work will also continue on the development of an automated case- management system, iSupport, which will further assist cooperation, efficiency and consistency in the processing of applications. All of this work is being carried out with a view to exploiting to the maximum the opportunities presented by new technologies,” according to the HCCH website. If a spouse or relative has removed children from the country without permission, call Kathryn Wayne-Spindler immediately. 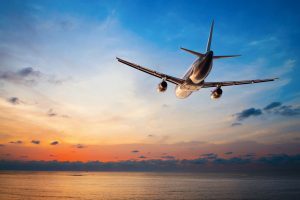 Her knowledge of and experience with the Hague Convention rules gives her an advantage when resolving International Child Abduction cases. Contact the Milford, Michigan Law Office of Kathryn Wayne-Spindler & Associates at 248-685-8888. Kathryn Wayne-Spindler & Associates Family Law Office helps clients throughout Southeastern Michigan with International Family Law cases. This entry was posted in Blog, Child Custody and tagged abduction, child abduction, child custody, child custody battle, child custody factors, child welfare, hague convention, international child custody, international custody, international family law, international parental abduction, International parental child abduction, parental kidnapping by Kathryn. Bookmark the permalink.